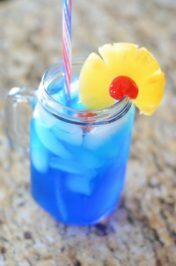 With school back in session I know many of you are looking for easy recipes to make between work and after school activities. I know I am! Pulling out my arsenal of recipes especially those recipes for the slower cooker. With the daughter in color guard and my work load getting heavier slow cooker or crockpot, depending on what you call it, dinners help make for a bit more time in the evenings. 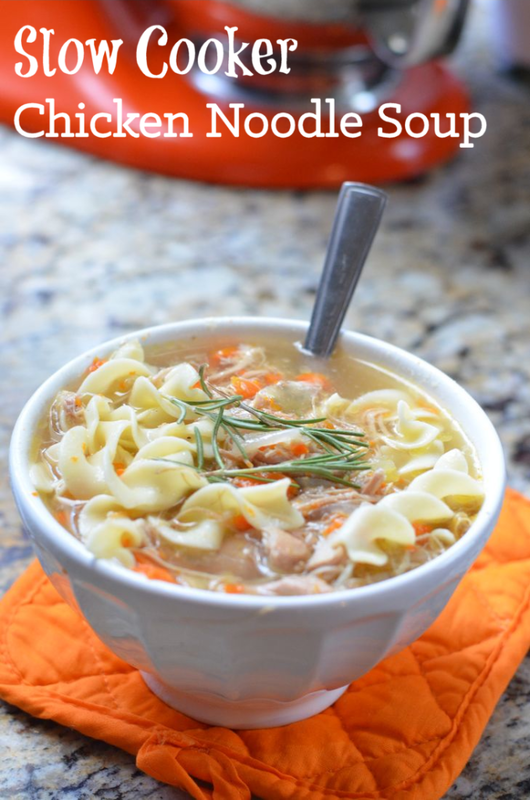 This slow cooker chicken noodle soup is quite simple to put together and full of flavor. Infused with white wine and rosemary this soup doesn’t taste like your normal chicken noodle soup. The aroma is perfectly intoxicating. It’s also budget friendly which is great after all that back to school shopping and school supplies. We all know every dime and dollar counts at that time of year. I plop it all into a slow cooker/ crock pot with plenty of garlic and ginger. 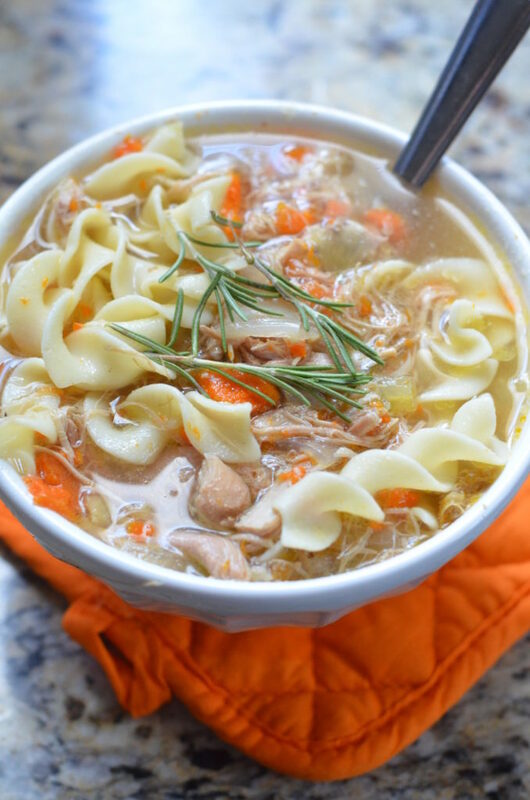 This slow cooker chicken noodle soup makes the entire house smell amazing! As you can see I just add the carrots in halves and don’t chop them up. The reason is that they don’t get nearly as mushy when you slow cook them whole. 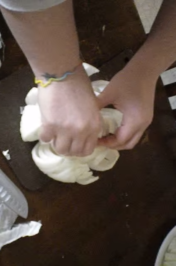 All you have to do is scoop them back out and mash them with a fork then drop them back in. I do the same thing with the celery too! Also, the noodles are made on the side. I’m just not a fan of crock pot noodles. They seems to have an odd texture depending on how each slow cooker cooks. I just cook them on the side quickly in a pasta pot. Strain them and add them to each bowl. It’s great because if you have someone eating with you that is gluten free you can leave out the noodles in their bowl. I hope this soup will help you get back into the daily routine. 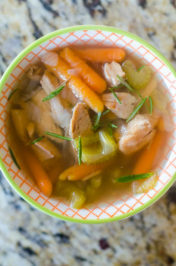 Slow cooked chicken, carrots, celery, and spices to make a delicious chicken noodle soup. 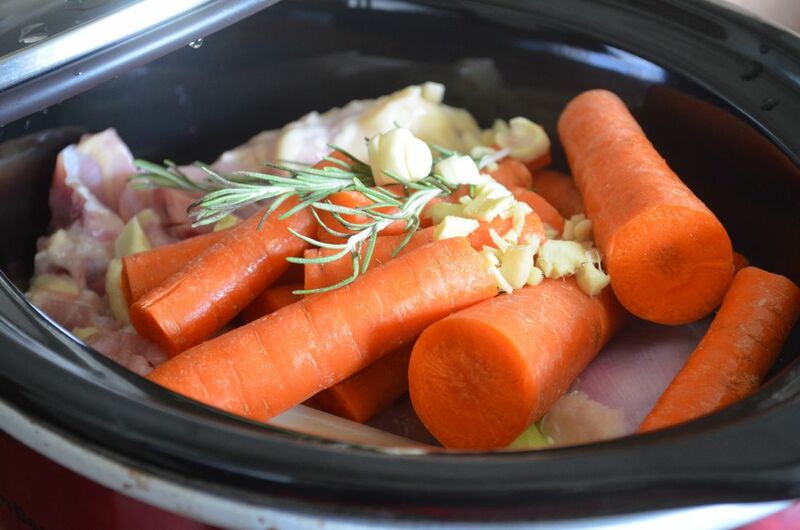 In a large slow cooker, add in carrot halves, celery halves, boneless and skinless chicken thighs. Turn to high heat. Add in minced garlic, rosemary, and chopped ginger. Top with 32 ounces of chicken broth and one cup of white wine. Add Mediterranean salt. Cook for 6 hours on high. Stir pot well. Remove carrots and celery; careful not to burn yourself. 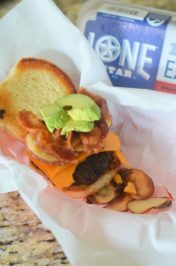 Place on cutting board and smash with fork. Return smashed carrots and celery to the pot. Add in two cups broth and one cup white wine. Add salt and pepper to taste and cook for another 2 hours. 20 minutes until the soup is ready cook 2 cups of eggs noodles in boiling salted water for 8 minutes. Once tender remove and serve in soup. Slow cooker chicken noodle soup, oh how I love thee! The is too perfect! I love that tip about the carrots and celery! I agree with you on the noodles, I think it might be because you don’t get to drain and rinse that starch off the noodles. This method is muh better. Definitely pinning this for later! This is the best chicken noodle soup!